Time for our May 2017 monthly recap. Find out which books were favorites and which were duds. We’ll end our wrap up with a a list of books due out next month and a glimpse of our upcoming content. We also want to hear from you so let us know what you read this month and what you look forward to reading in June. This ARC was provided by Penguin Random House UK (via NetGalley) in exchange for an honest review. Synopsis from Goodreads: One of Us Is Lying is the story of what happens when five strangers walk into detention and only four walk out alive. Everyone is a suspect, and everyone has something to hide. Book Worm’s Thoughts: Firstly, I would like to correct one thing in the Goodreads synopsis. The 5 people who go into detention are not strangers, they all know each other, or at the very least know of each other. I don’t think there is actually such a thing as a stranger in a closed environment like a school. This is a YA thriller and, as such, it is light on the gory stuff. While there is tension in the narrative, I never felt that anyone was in real danger. For me, it was more a closed room mystery and with that premise in mind it worked really well. There were 2 big reveals in the narrative and if you were paying attention they were both obvious. This is a good thing and a bad thing. Good because I hate books where the reader couldn’t possibly solve the crime and bad because I do like to be kept guessing slightly longer than the book allowed. The narrative switches between the 4 characters who “survive” detention and as the book went on I became more and more invested in them, as they shared their faults and flaws and began to develop beyond the stereotypes with which we are first presented. There is also one brilliant scene in the school canteen that I can’t share for fear of spoilers, but all I will say is bad boy Nate is my hero in that scene. This is a solid 3 star read with interesting characters and a touch of teen romance thrown in for good measure. Who would like this book? If you like murder mysteries that won’t give you nightmares, this would be a good choice for you. I would also recommend this to a teenaged audience as it deals with issues that many teenagers face at school. Synopsis from Goodreads: In the masterful follow-up to the runaway hit All the Missing Girls, a journalist sets out to find a missing friend, a friend who may never have existed at all. Book Worm’s Thoughts: Last year I read and loved Megan Miranda’s All the Missing Girls (a thriller told entirely in reverse) so I was excited to read her latest book. Like a lot of other reviewers, the first thing I have to say is that this is nothing like All the Missing Girls. This is a straightforward, chronological thriller and any time we visit the past, it is in the form of a memory. For me, this was a solid 3 star thriller. It proceeds at a fast pace, there are plenty of twists and turns, and I was up until midnight finishing it (bear in mind I am usually in bed by 10:00 at the latest and normally asleep by 10:30). So I was definitely hooked by the storyline. I liked the characters although I did feel some of their actions were unrealistic, or would have raised several eyebrows if they had behaved that way in the real world. I had to accept that this was fiction and not real life in order to be able to gloss over the fact that Leah was able to become a teacher with no background check. I mean really?? does this happen in the USA?? The background characters are interesting and I think there is the potential for another book based around the secondary characters. I am sure Megan Miranda could still create a book full of suspense and unexpected turns. Overall, this provided some light-hearted escapism from my more intense reading. Who would like this? I would recommend this to anyone who likes a good thriller, anyone who likes a book where you don’t know who you can trust, and anyone who is able to suspend belief and just go with the flow no matter where the narrative takes you. 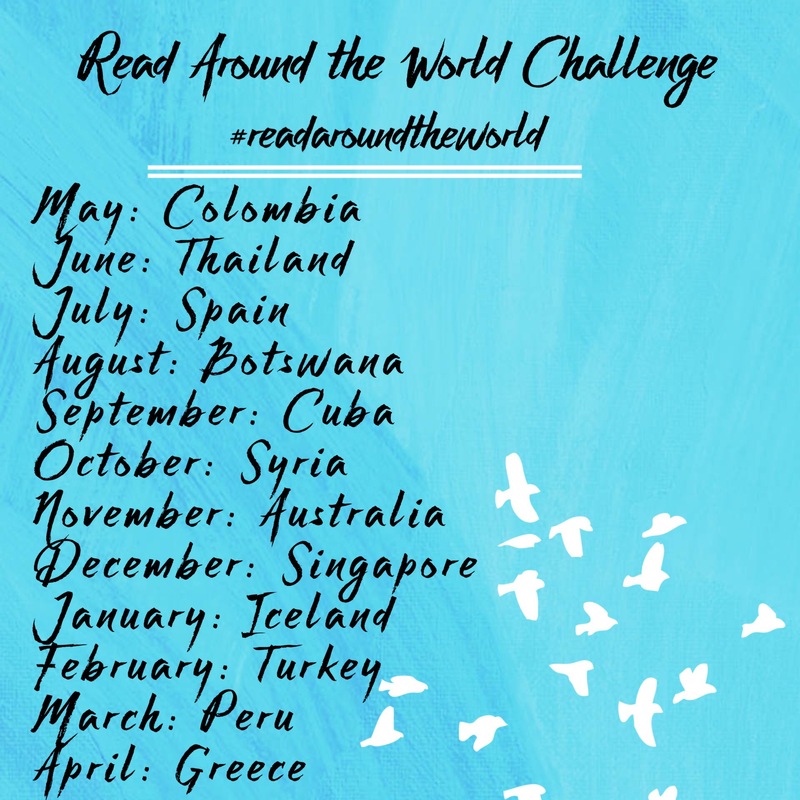 Last week we mentioned that we’ll be hosting a Read Around the World Challenge, expanding our current feature to make it more interactive. Lots of you submitted country nominations across various platforms (Litsy, Instagram, and here). The randomizer has selected the winners. If your country nominee didn’t make it this year, it will automatically be placed on the list for next year.